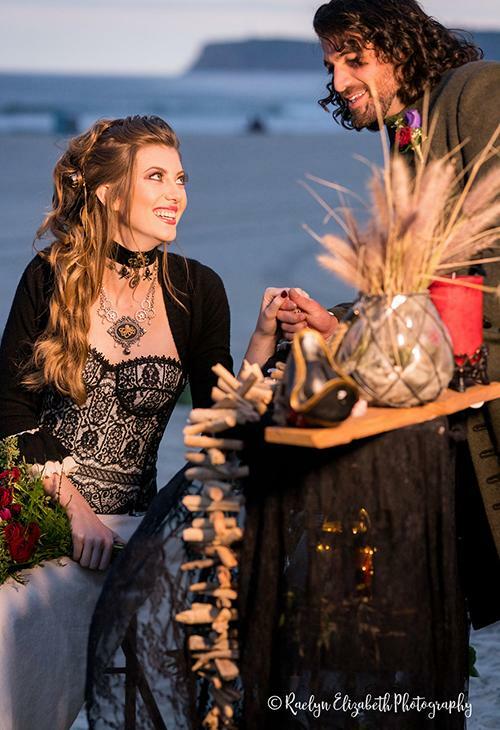 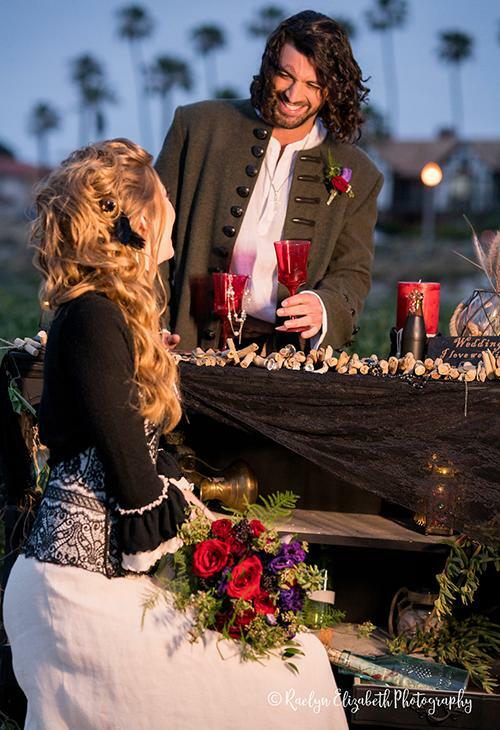 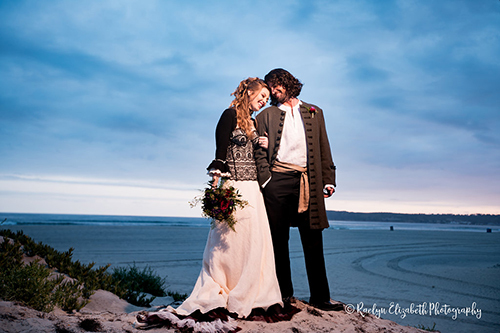 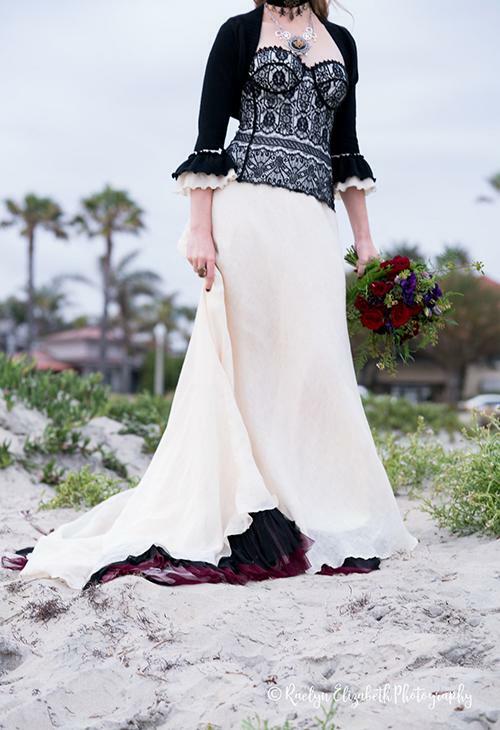 SAN DIEGO, California -- Forget a Caribbean destination wedding, a 'Pirates of the Caribbean'-inspired wedding is the latest and greatest wedding trend buzzing its way across the internet. 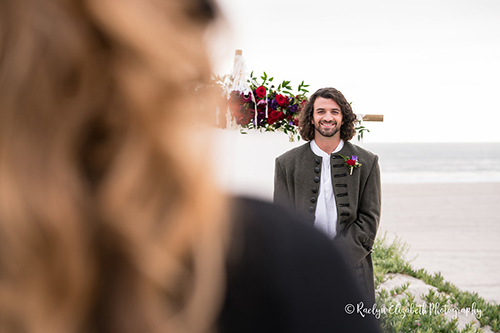 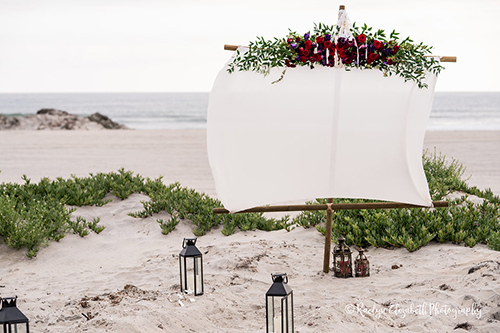 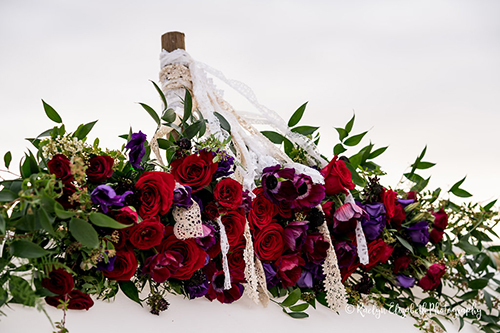 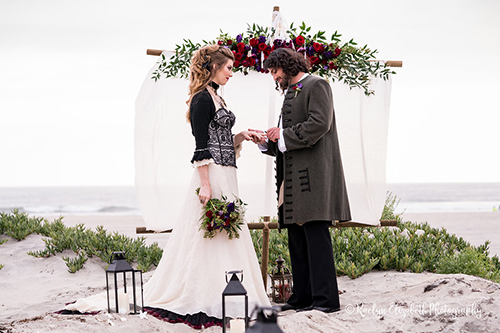 A team of more than a dozen photographers, videographers, stylists, artisans and other designers -- many of whom worked on a similar 'Beauty and the Beast'-themed wedding earlier this year -- teamed up to throw the visually stunning fete on a sunny southern California beach. 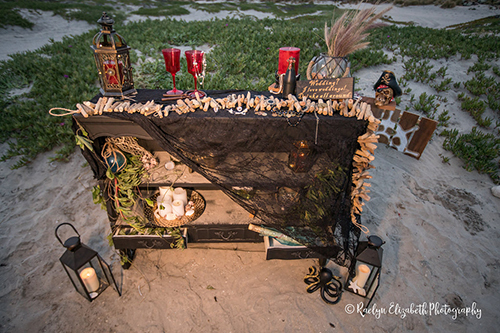 Custom crafter Craft Menagerie designed a sail-inspired piece in place of a traditional ceremony arch, while Baldwin Bridal and Events styled the sweetheart table, cocktail bar and reception decor to reflect a "dark and edgy pirate ambiance." 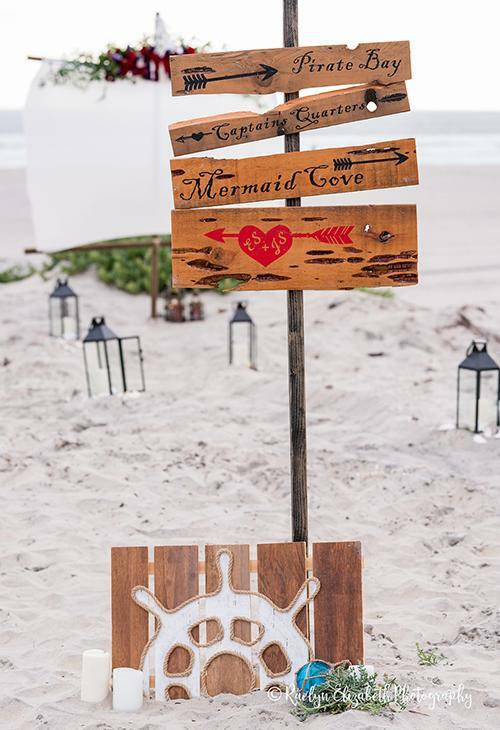 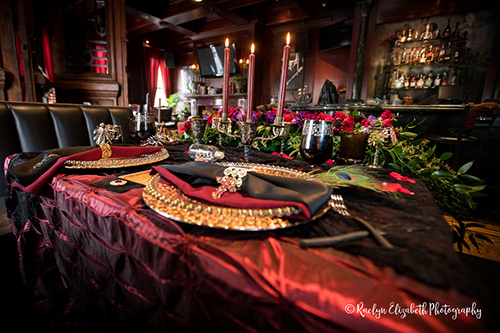 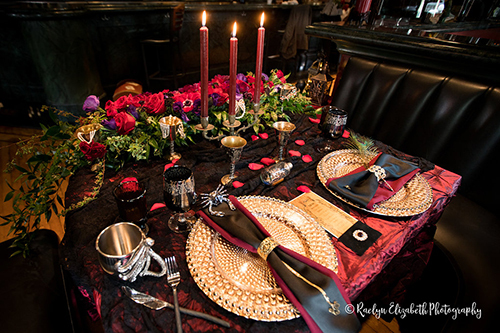 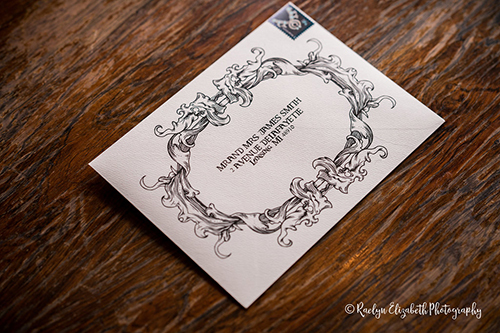 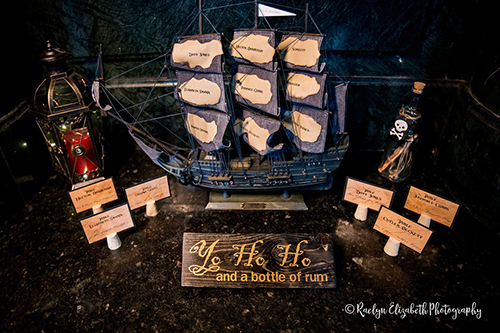 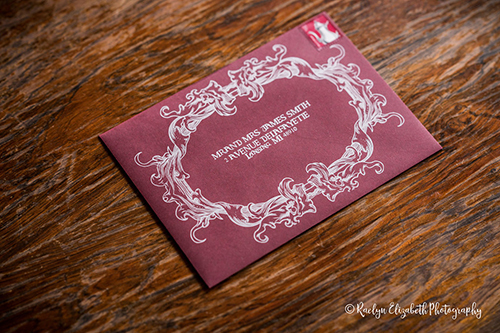 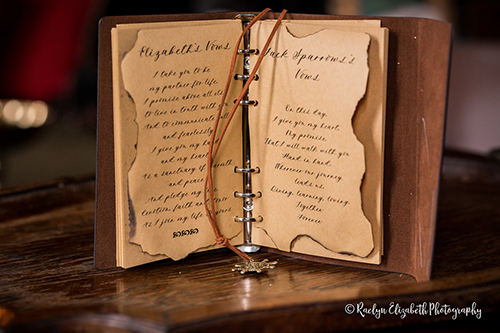 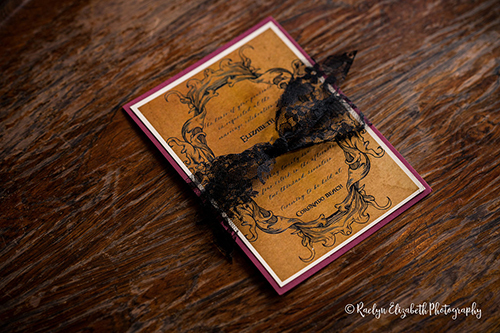 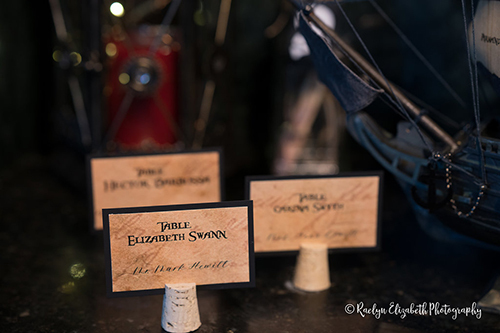 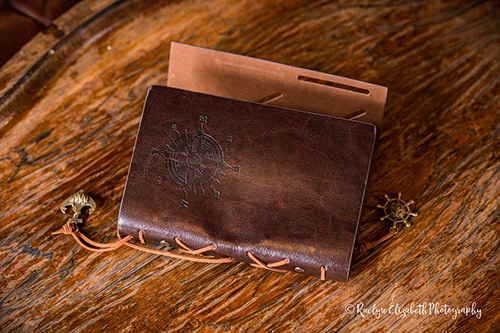 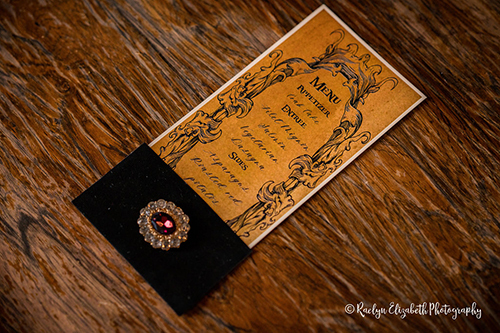 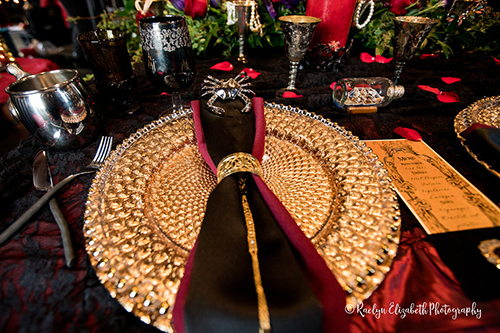 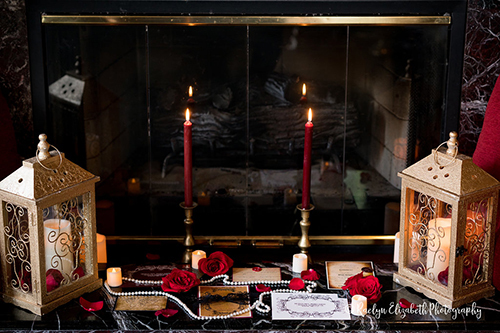 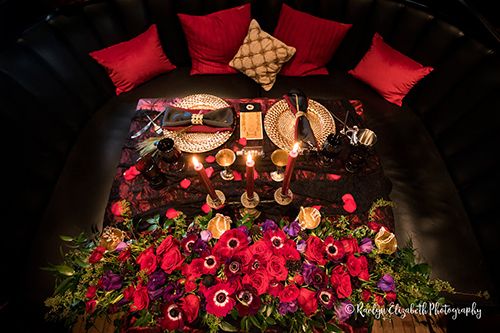 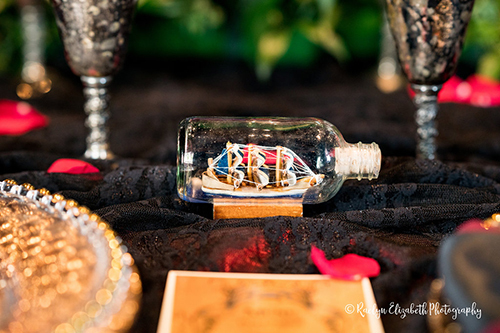 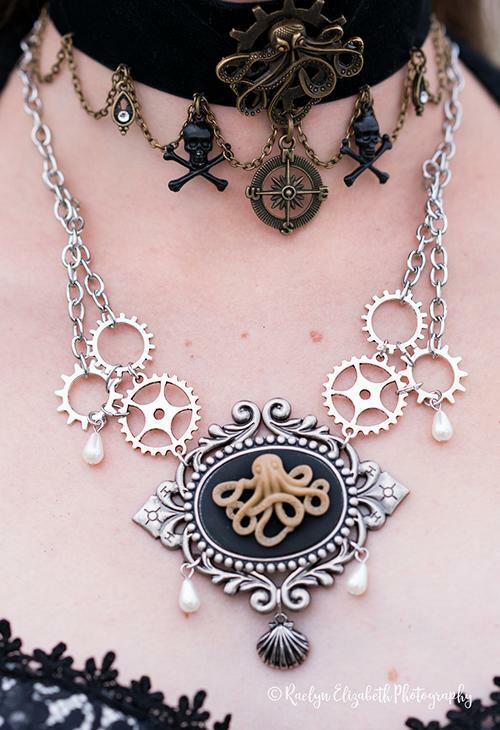 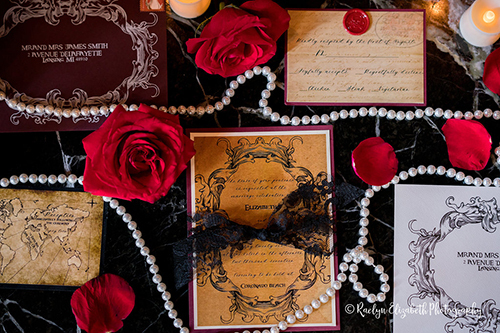 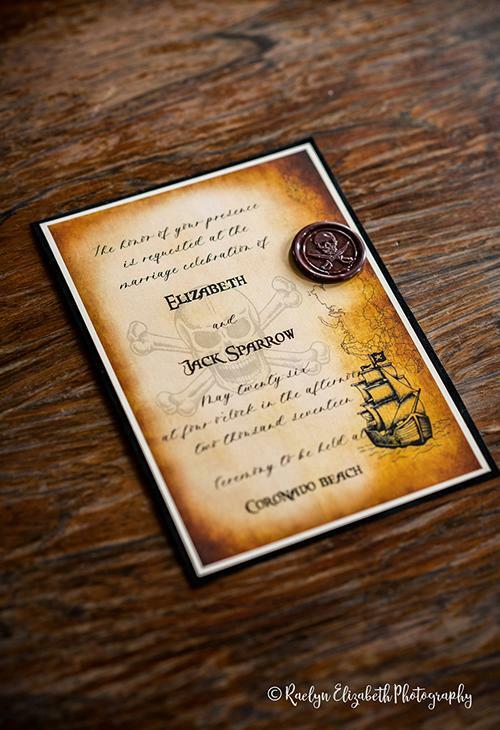 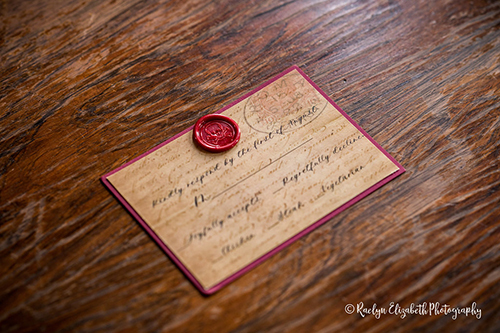 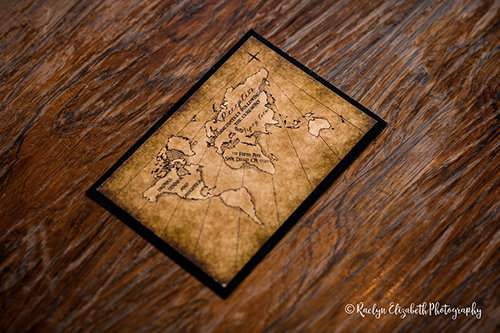 Take a look at a visually stunning 'Pirates'-themed wedding. 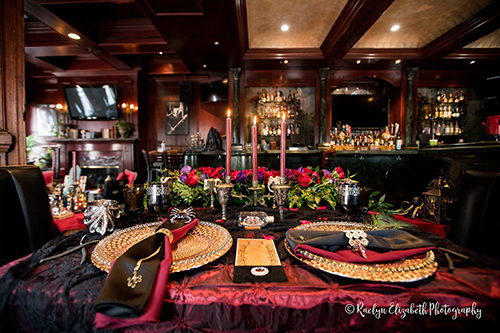 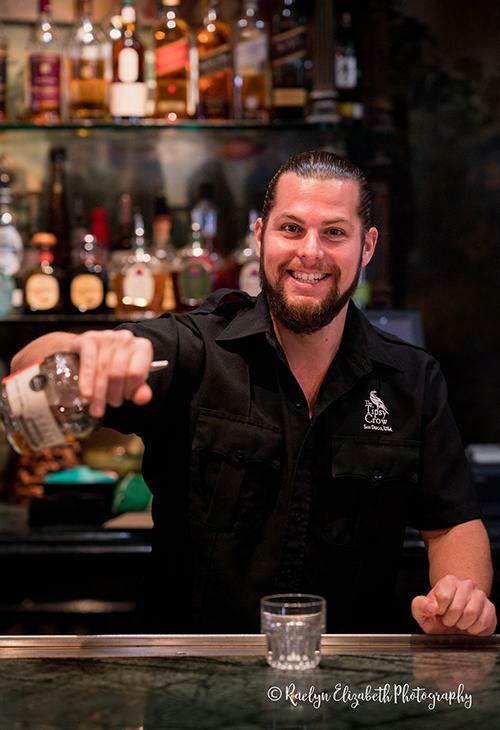 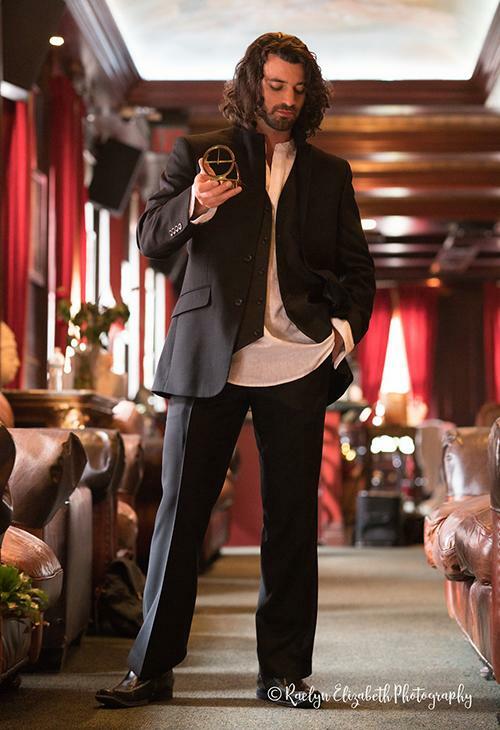 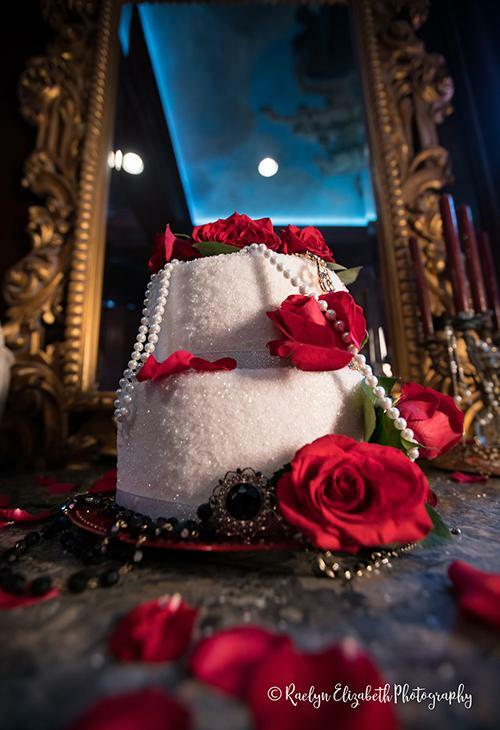 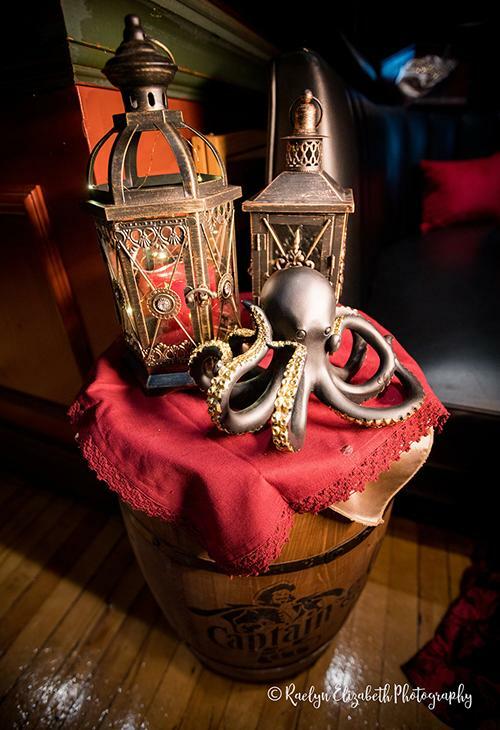 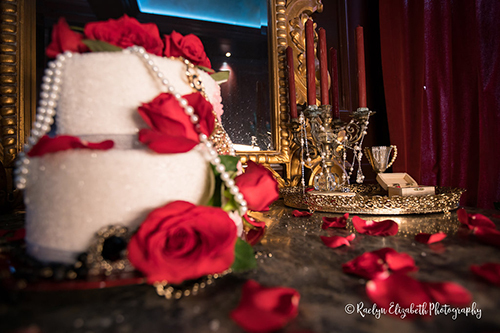 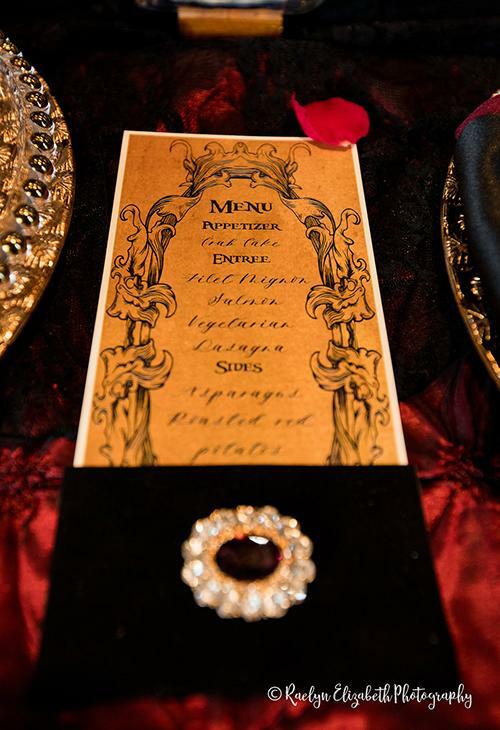 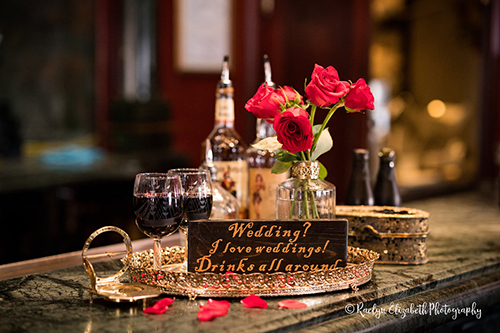 The reception took place at a San Diego lounge that features red velvet curtains, black leather chairs, old fireplaces and many gold fixtures -- "the perfect blend of everything pirate," according to the event's designers. 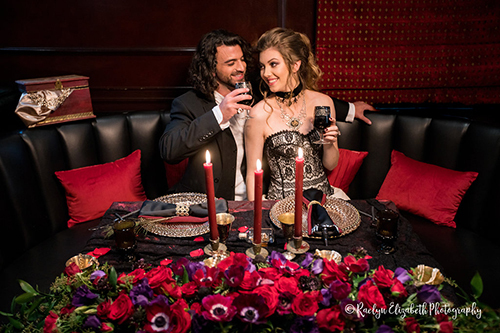 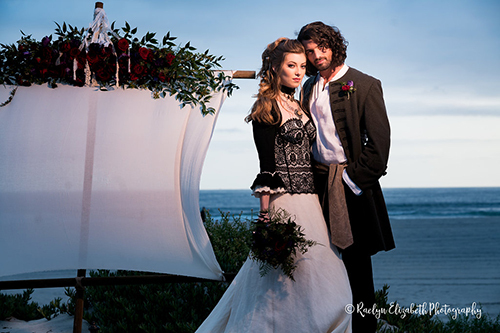 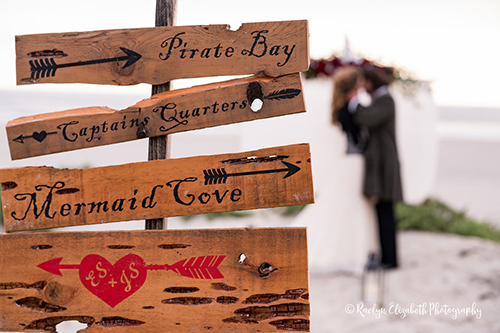 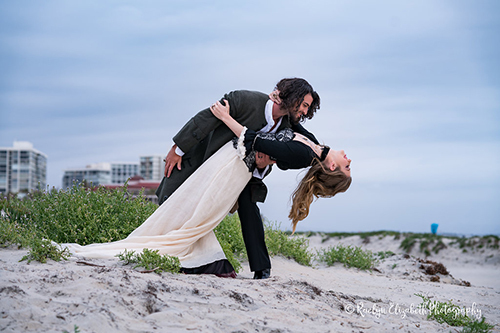 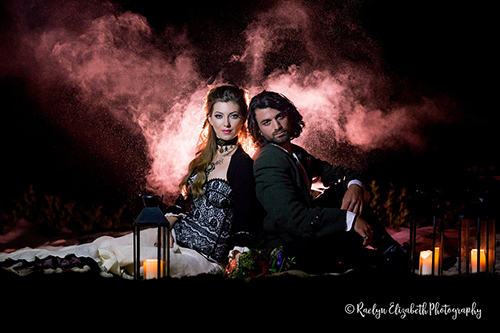 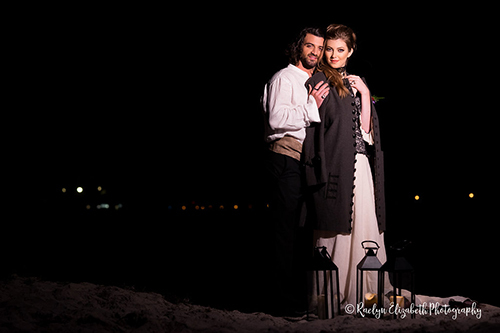 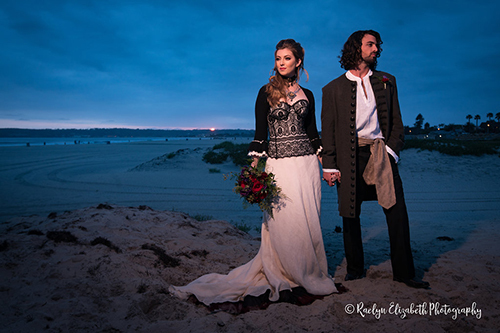 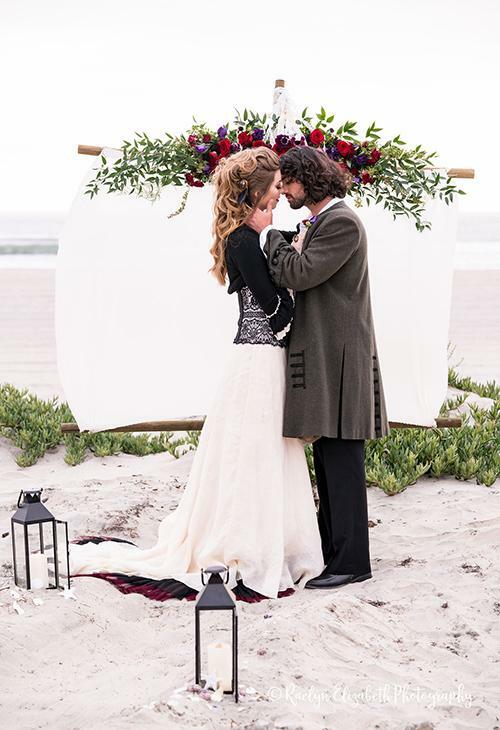 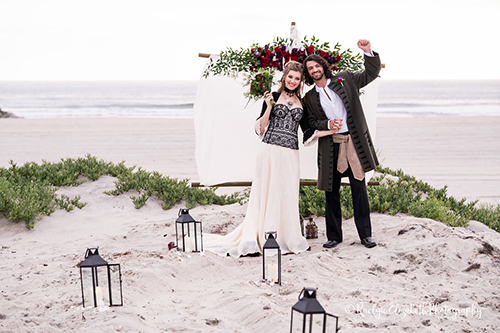 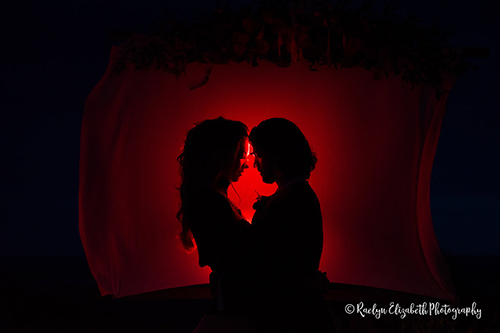 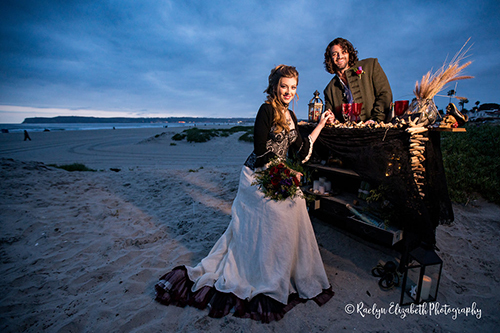 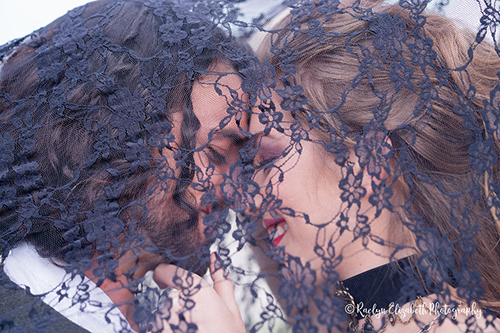 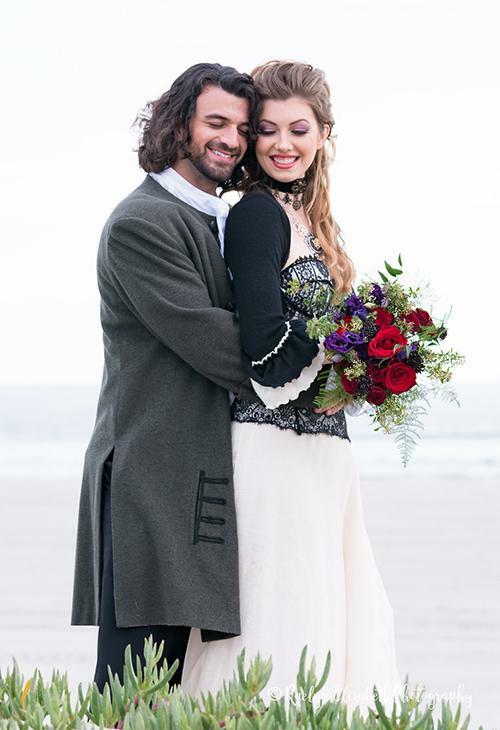 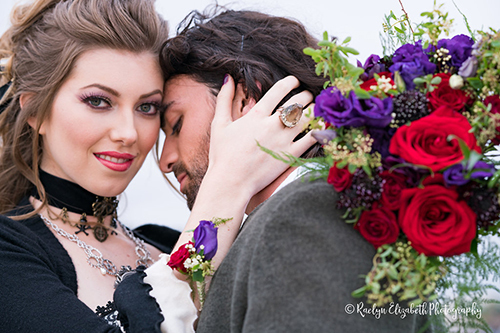 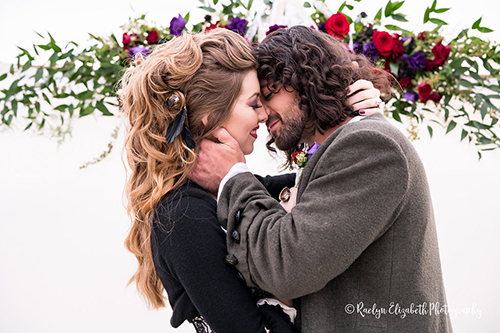 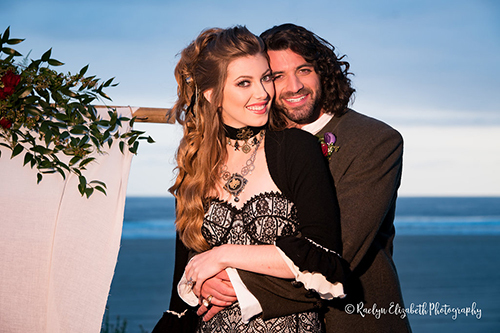 "When we first heard there would be another 'Pirates of the Caribbean' movie coming out this year, we knew we had to create a wedding shoot inspired by all things 'Pirates,'" said event photographer Raelyn Elizabeth. 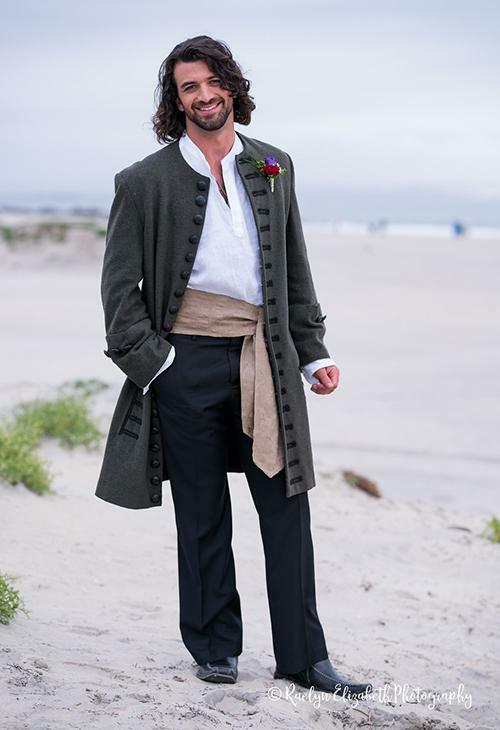 "We all have been living and breathing everything pirate, and my Spotify playlist has been playing pirate music on loop for the last month or so." 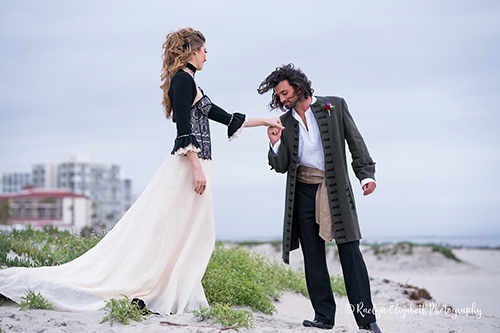 The shoot comes just in time for the latest installment in the 'Pirates of the Caribbean' series, which hits theaters May 26. 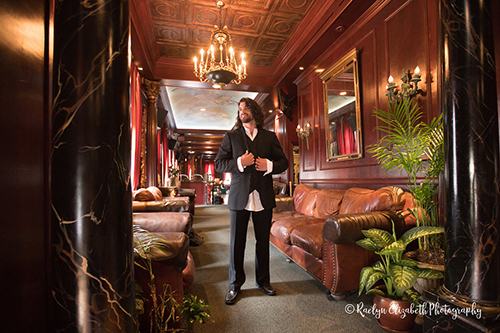 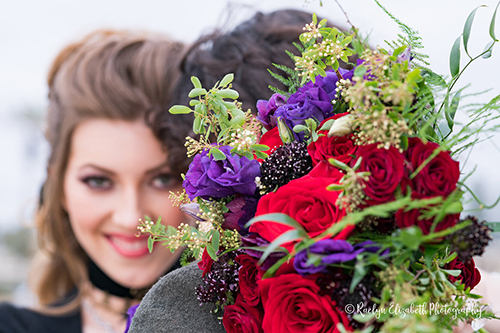 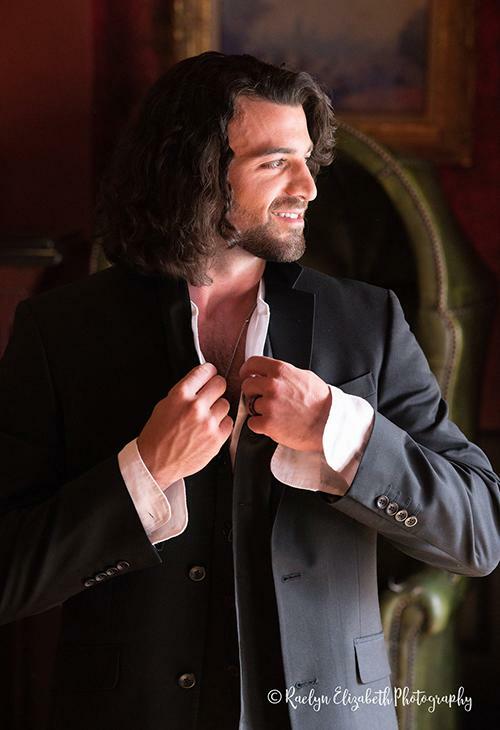 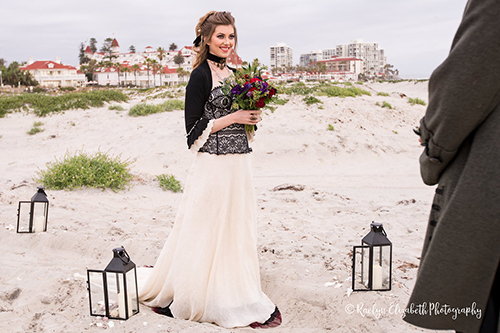 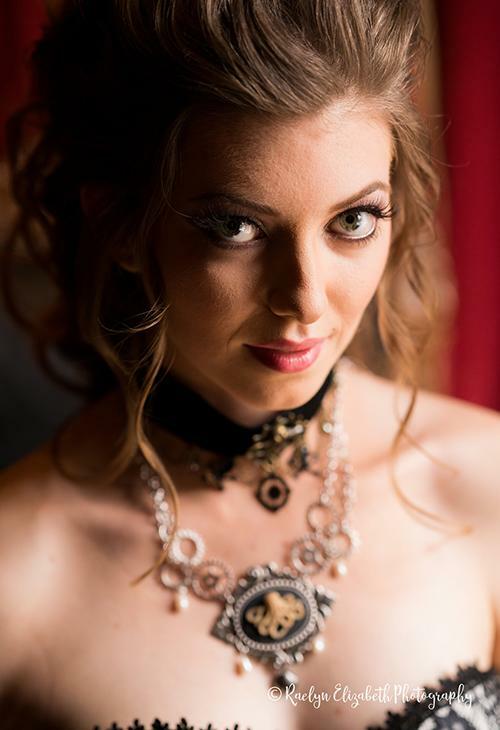 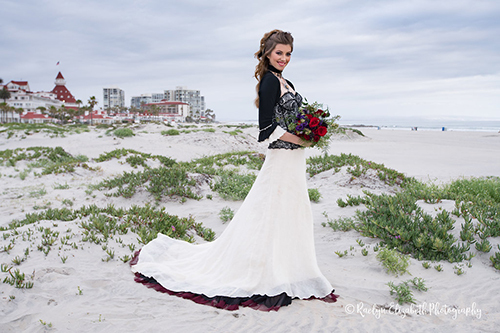 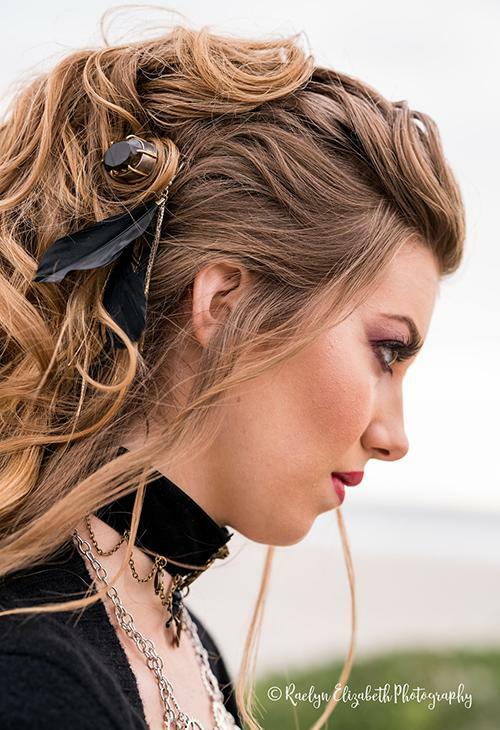 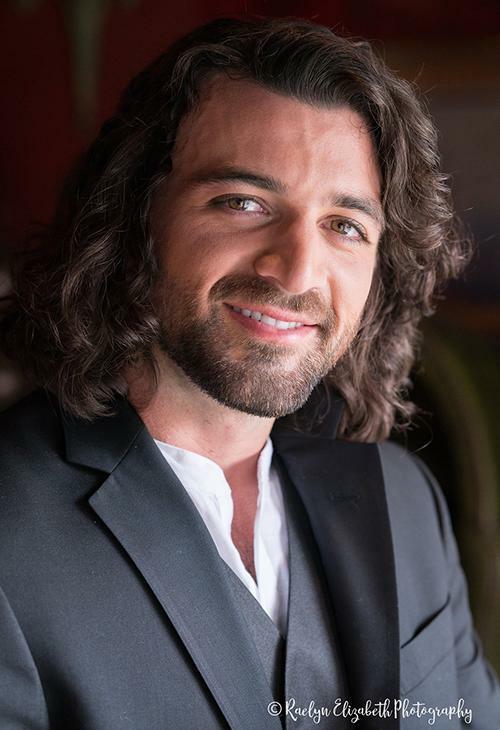 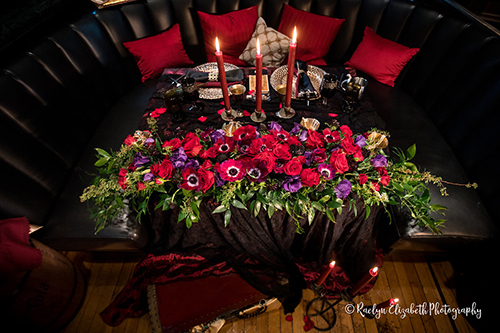 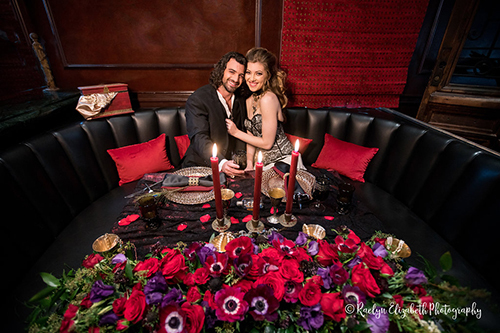 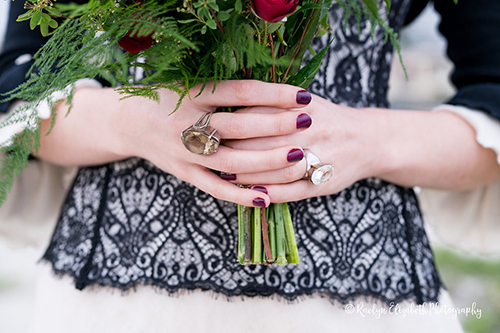 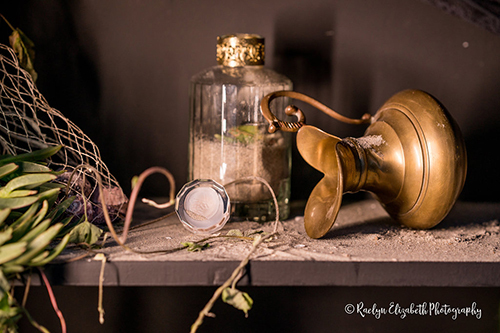 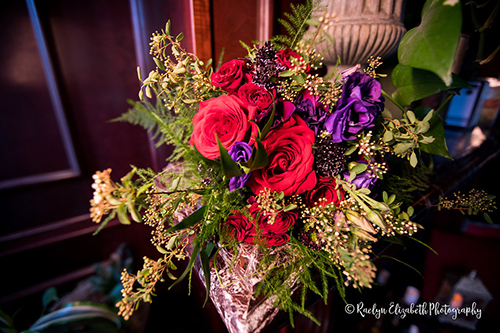 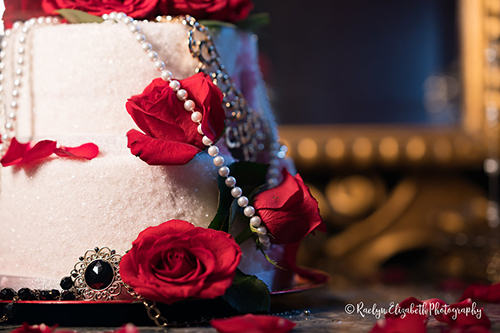 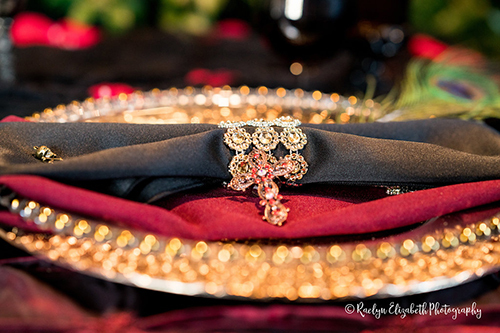 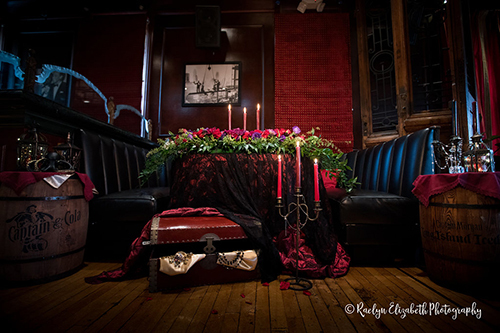 Photographer Raelyn Elizabeth Photography, videographer Take On Me Productions , creative director Baldwin Bridal & Events , event coordinator Sylver Weddings and Events, floral designer Flowers by Alicia, hair and makeup designer Wow... 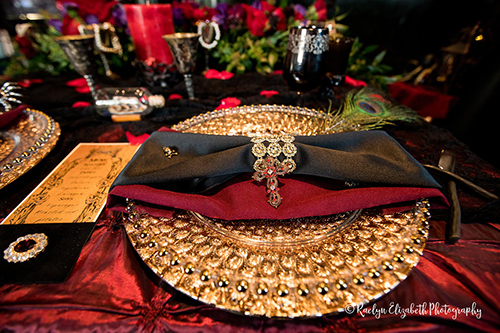 Your Makeup Concierge, eco designer Deborah Lindquist Eco Couture, men's wardrobe stylist The Costume House LLC , stationery designer Boxed Wedding Invitations, baker Charly's Cakes, jewelers Safia Day and The Victorian Bat, sail designer Craft Menagerie , sign designer Foswick Collectibles, linen rental company Patty's Linen Rentals and models Aly Lovelace and Cole Stamper all contributed to the shoot at The Tipsy Crow. 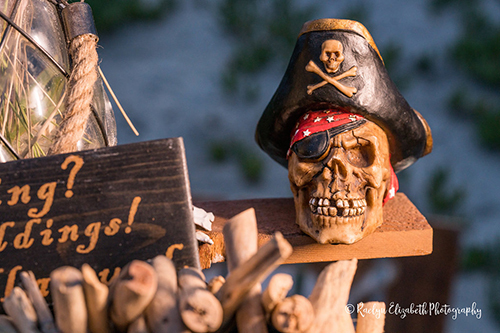 Editor's Note: The Walt Disney Company, which produces 'Pirates of the Caribbean,' is the parent company of this station.